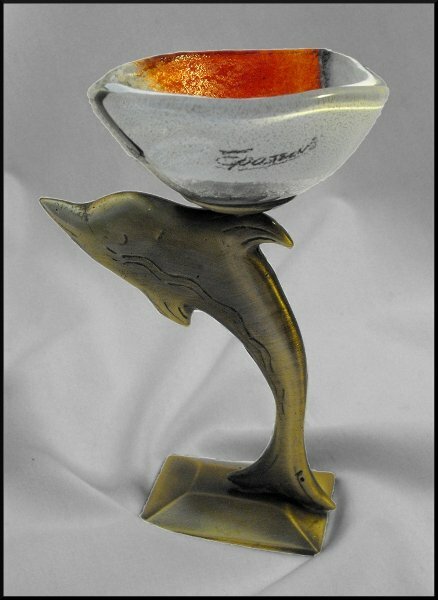 Iron dolphin gracefully carries a glass cup where you can place your tea light candle. The candleholder is hand-made and its glass cup combines red and white colour in order to enlighten the iron figure. It is a great gift for any teenager or a lover of dolphins.